‘A monkey could do this job’. No, not the job of being an investor at a hedge fund or doing hedge fund internships, but the job of being a junior analyst at one of the big banks on Wall Street. That’s what an Ivy League graduate notoriously said. Evidently, he left the entire banking and investment world in an uproar, as who could have been so bold as to utter this? However, as it turns out, he might have been right. It’s a very well-known fact in the investment world that every junior out there who wants to claim a job with a great bank needs to go through a so-called ‘rite of passage’. Traditionally, given the fact that most Wall Street banks are old, famous, and very well-positioned, this rite of passage meant spending a few years as a junior banker with one of them. The only thing is that young candidates seem to have had enough of that lately and decided they are just a tad too qualified for spending so many years in such a menial position. The solution? Most of them are now slowly, quietly, but surely turning to hedge fund internships. Do hedge funds offer internships to undergraduates? Hedge fund internships salary – is it everything it’s hyped to be? 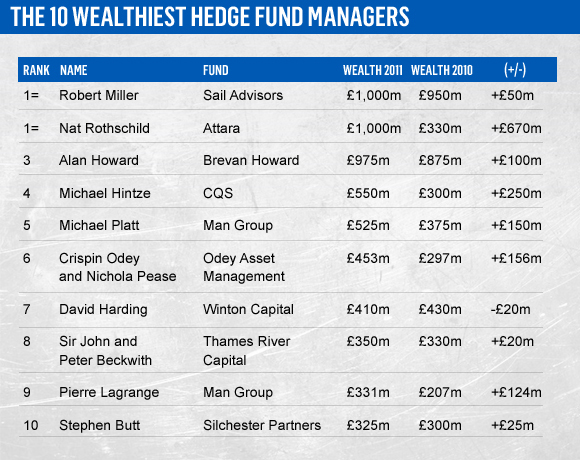 Which are the top hedge funds? It’s a company who uses its clients’ money in order to invest in alternative funds. They do this either to beat the market or to create a hedge against unexpected changes in the market. The hedge fund in itself is structured as a limited partnership. Also, from a legal point of view, it’s quite similar to an investment strategy. It charges its clients more or less the same fees, too. 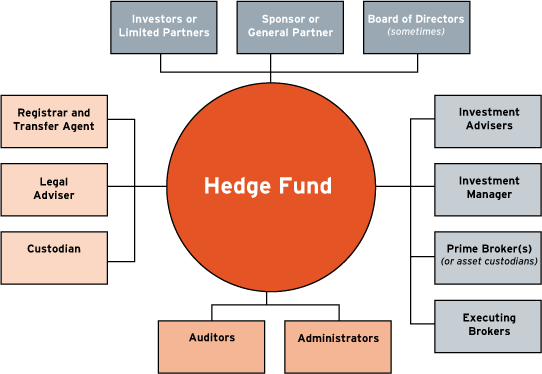 The hedge fund acts as the general partner, while third parties, such as banks, pension funds, and wealthy individuals act as the third party, the limited one, in the limited partnership that is the hedge fund. The third party provides the money and the hedge fund invests it away. The manner in which it does that is of real interest here. In the past few years, ever since the financial crisis that hit on a global scale, hedge funds have found themselves under a great deal of scrutiny. It seems as though a select few hedge funds have amassed billions by betting against the sub-prime housing market. They did so while millions of Americans lost their jobs and, subsequently, their homes. This, in turn, lead to a discontinuation between Main Street American and Wall Street Hedge Funds. However, it’s important to note that these are only a few bad apples and that there’s nothing wrong with hedge funding per se. This niche has its wrong doers just like any other business does. This is, probably, the most important thing you need to know. As many, if not all seniors will tell you, interviewing for both an internship and a job at a hedge fund is very difficult. In fact, it’s a lot more difficult and extended than any other investment bank interview out there. Here is all you need to know in order to ace it. First of all, be prepared for case studies. In addition to the interview or interviews themselves, they might very well give you a case-study or two for you to work on for a few days. The reason is simple enough. No interviewer, no matter how good an HR person he or she is, can tell how you will act as an employee after a mere 30 minutes’ discussion. They need to see how you will be on the job. This is where the case study comes in. The type you need to solve on the spot – you will get 1 or 2 hours to do it and you will need to make a presentation afterwards!! Therefore, work on your presenting skills as well, not just your case-study solving ones. If needed, do some role playing with a friend the night before. What you need to always keep in mind is that the case study is the real deal-breaker here. If you cannot solve it the way they expect you to, you will not get an offer. It’s as simple as that. 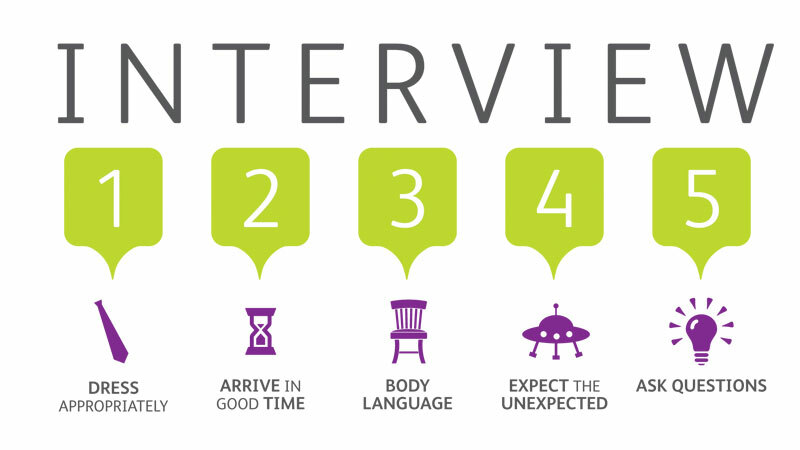 Here are more details about case studies during interviews and how to be prepared for anything that might come your way. Also important on the interview for a hedge fund internship front are the questions. Here are the 4 most common questions candidates receive, as listed by an investor who worked almost ten years in different hedge funds, until he retired early and left to go paragliding and travel the world. Sounds rather good, doesn’t it? Indeed, it does, so, maybe, it’s a good idea for you to know how to answer these main questions he has pinpointed. What is the reason why you want a job in a hedge fund? What stocks do you like? Have you done any investing lately and, if so, what kind? Yes, they most surely do. However, it’s not very common, which means you have to work as hard as possible. Usually, hedge funds, as well as investment and commercial banks hire people who have at least a few years’ experience in the field. But, if you follow these steps and work very hard, you might have a shot at it. Put together a list of funds where you feel you could fit in best. In order to do this, ask yourself a few questions, such as what is your personal investment strategy, your value, growth, and macro? Apart from that, build the list itself by looking up hedge fund companies online, add the ones referenced in your school books and the ones pitched at investors’ conferences. A good tip here is to start with small hedge fund companies. Simply cold call them, as they are a lot more likely to respond than the big ones. add two research notes, both on the long and short side that will demonstrate your ability to generate amazing ideas. As mentioned above, finding a hedge fund that offers summer internships is not difficult. Google is your best friend. Do a thorough search and create a top for yourself, based on several criteria. which are the hedge funds you would like to intern in most? Which are the ones you would like to intern in least? Divide them into categories – small, medium, large – and start applying for the small ones. They are a lot more likely to answer and invite you to an interview. Recommended hedge funds vs. the ones which don’t have any online backup from employees or investors. Second of all, if googling doesn’t render all the results you would like to see, then you can try specialized websites, as follows. LinkedIn – You will find an array of internships here, as well as jobs per se. Most of them are in New York City, evidently, but there are others, even though less in number, in other states as well. For example, you can find some in Houston, Texas, Stamford, Connecticut or Milwaukee, Wisconsin. com – is a specialized website that allows you to browse through hedge fund internships and jobs by job title, company, sub-sectors, and location. They also have a great news, advice, and students section, which we advise you keep your eye on. indeed.com – this particular website even allows you to perform a search by salary estimate, in case you want to know how much money your future employer will offer you (for further details on salaries for hedge fund internships, see below). In the same way, most internships and jobs are located in New York City, but the offers stretch all the way to the West Coast, in California. Net – exactly as their website suggests, they are more than just a hedge fund database. Apart from being able to find an internship or a job here, you will also be able to read news, actually learn about hedge funds, find out where all the conferences are and how you can attend, and which are the hedge fund service providers. Yes, because, indeed, hedge funds offer the biggest salaries in the finance market, including internships. And no because it depends on the company you work for, the hours you put in, the school you come from, what grades you had, and the list can go on. Actually, as far as salaries go, the hedge fund internship market varies so much that one company may offer no money at all, which means unpaid internship, while other companies are reported to pay as high as $30 per hour to an intern. This basically translates into the fact that you need to discuss this matter with your employer. However, keep in mind you are not doing a summer hedge fund internship for the money. You are actually doing it to gain experience, fill up your resume with relevant information, and start your career. Money will come later on. Nonetheless, for you to get an idea how much a hedge fund analyst makes, you should know that the entry-level salary is somewhere between $90 000-$120 000. It’s an absolutely outstanding sum to be paid for an entry-level job and that’s not even all. This average entry-level position is normally a combination of base and performance bonus. You should know that most hedge fund analysts are compensated according to performance. This leads to the fact that the compensation is twice the base amount. It doesn't follow any fixed benchmark and, as mentioned, it’s related to the fund performance. Simply put, if a certain fund performs very well, the employees will receive amazing compensation. Yes, salaries are quite amazing in this niche of the finance market. This means that your internship may very well be paid quite good. However, keep in mind what we stated above. Even if your hedge fund internship isn’t paid, it’s still worth going for it. Think of all the money that follows as an incentive for you to push hard through an unpaid summer internship. In fact, it is a bit difficult to rank them. That is because hedge fund companies should be ranked according to the assets they are currently managing, should you wish to know how ‘big’ or successful they are. The problem is that most of their portfolios are private. Funds are privately owned and clients are the only ones who have access to reports and financial details. However, there are rankings available online. Ours is based on total assets managed, AUM and on figures taken from official sources, such as the companies’ websites or reports they have made public. We have also used the Institutional Investor’s Alpha’s website, which you should use as well. It’s a great source for the info you need. Here are the top 10 hedge fund firms, in decreasing order. Bridgewater Associates LP – they are based in Westport, Connecticut, they have some 1400 employees and manage $150 billion in global investments. Their clients are institutions, central banks, governments, pension funds, and corporate funds. They also have a hedge fund management of $87.1 billion and this is what makes them the largest hedge fund management firm. P. Morgan Asset Management – this is a division of the world famous JP Morgan Chase & Co. They have $2.4 trillion as far as overall assets are concerned. Out of that, the hedge fund Asset Management has $59 billion. Och-Ziff Capital Management Group LLC – As of December 2014, they have $47.1 billion AUM. They were founded in 1994 and they’re based in New York. Brevan Howard Asset Management LLP – They are based in London, but they have offices all over the world. It’s the largest hedge fund in Europe as far as the AUM is concerned, because theirs sums up to $40 billion. BlueCrest Capital Management – This company was founded in 2000 and has two operating streams - alternate investment management and hedge fund management. Their hedge AUM are said to be somewhere around $34.2 billion, starting December 2013. BlackRock – they have a whopping crew of 11 000 employees and a very diversified portfolio. It goes from financial services to insurance and private equity. 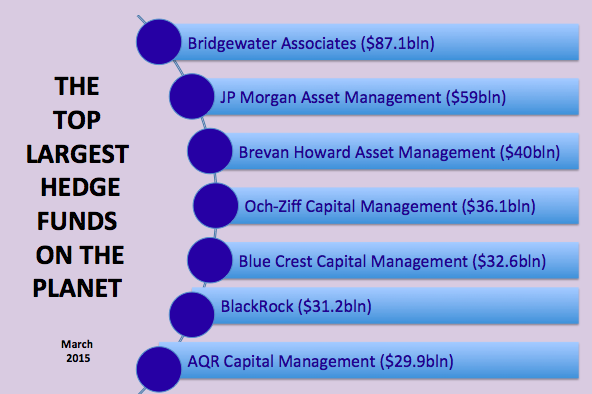 Their overall AUM in of $4.32 trillion, while their hedge fund AUM is $31.323 billion. AQR Capital Management LLC - AQR has total AUM of around $114.7 billion as of September 2014. Out of that, $29.9 billion are in hedge fund management. Lone Pine Capital LLC – Their hedge fund AUM is somewhere around $29 billion. They use both long and short approaches to invest in global public equity. Man Group plc – this London-based Man Group, founded in 1783, has $28.3 billion AUM in hedge funds. Their total AUM goes up to $57.7 billion, starting June 2014. Viking Global Investors – their hedge fund AUM is of $27.1 billion. This particular list of top hedge funds changes drastically every single year. This only goes to show how highly volatile in performance and hedge funds AUM these companies actually are. After all, hedge funds are based on and best suited for high-risk, very high return type of investors. One single wrong step can lead to one of these companies being pushed further down the list. As a conclusion and some final pieces of advice regarding hedge fund internships, before you go on to applying and participating in the interview, make sure this is, indeed, the right career path for you. Not financing, but hedge funds. The surer you are about your decision, the easier it will be for you to do all the work. After you’ve decided, become a true student of hedge funds. Not just in college, but on your own as well. Never rely solely on the financing education you’re received in college, even if you attended an Ivy League school. This is where the hedge fund internships come in. Keep learning and keep working and you will get there. - Classroom Course with Placement Assistance: Our Full-Time Financial Modeling Investment Banking Course (6 Weeks) starts on 29th April, 2019 and 2.5 Months Weekend Workshop starts on 6th April, 2019 in New Delhi, India and on 16th March, 2019 in Gurgaon, India. - Online Course with Placement Assistance: Join our Online Financial Modeling Investment Banking course with Placement Assistance from anywhere in the world. Only a few seats remain. Interested candidates can contact me. 10+ Years Expertise. Have Trained over 10000+ Professionals. Through a Network of 20+ Expert Trainers and 15 Courses. Very helpful article, thanks for sharing! Will definitely consider giving it a try, even if my chances as a business undergraduate are small. Careers in Private Equity: How Is it Different from Equity Research Careers? How to Make a Career in Top Private Equity Firms? Best possible way to learn all the things you need to know in finance modeling and more, via real case studies. Get online training in most advance and authentic finance courses designed by FinanceWalk. Make career in finance by learning it from authentic sources. Want Instant Access To Financial Modeling Videos+ eBooks for FREE? Get eBooks, Discount Coupons, Bonus to a Great Career in Finance. Want to Create a Lucrative Career in Investment Banking? Through Career Coaching, I have helped 5000+ people in 20+ countries to create their Finance Career in last 5+ years.